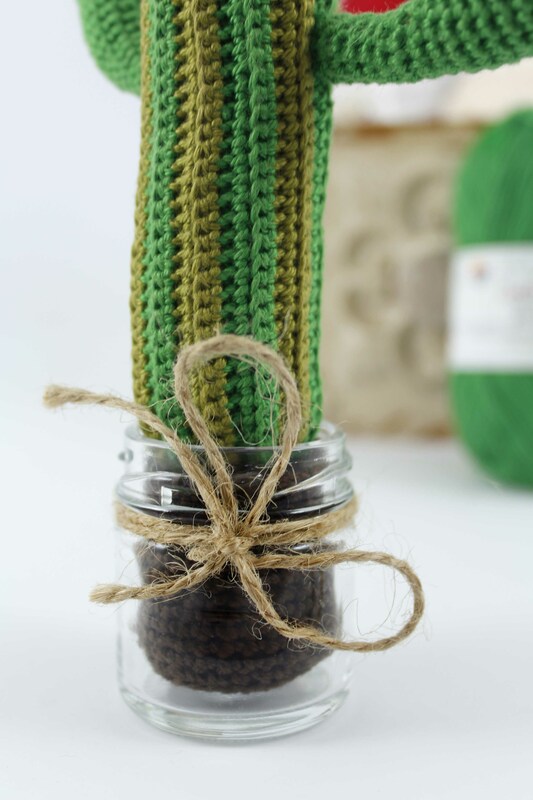 Materials: Crochet hook 2 (1.75 mm), yarn needle, stitch marker, stuffing, small jar 40 mm diameter, twine to decorate the jar(optional). 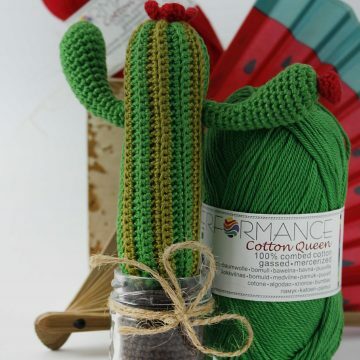 The body of the cactus is worked in rows. Flowers are worked in rounds. 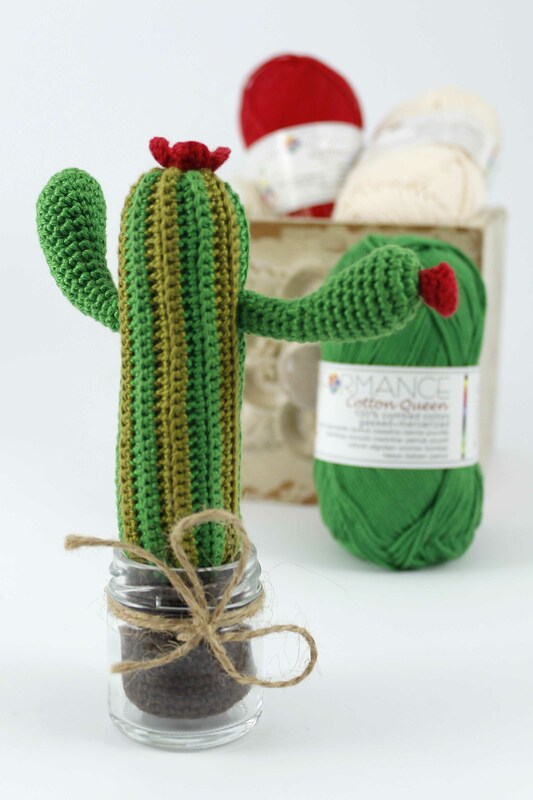 The cactus fingers and soil are worked in continuous rounds(spiral). To track your rounds, use stitch marker at the end of each round. 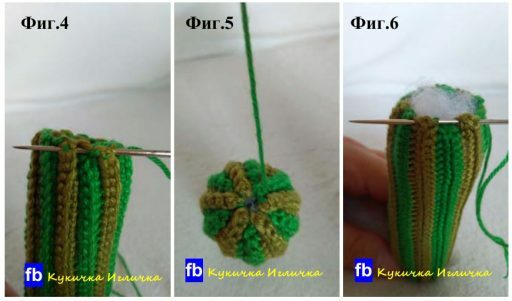 Beginning ch1 doesn’t count as stitch. sc2tog – sc decrease – insert the hook where indicated, pull up a loop (2 loops on hook), insert the hook in next st, pool up a loop(3 loops on hook), yarn over, pull through all 3 loops . 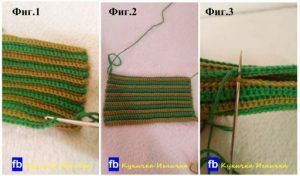 Row 6-23: Repeat Row 2-3 successively finishing with Row2. Fasten off leave a long tail. 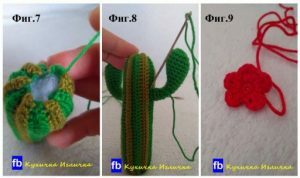 Sew on first and last row of cactus body using the long tail (p.3). Then pull through the side edge, fasten off and weave in ends (p.4-7). 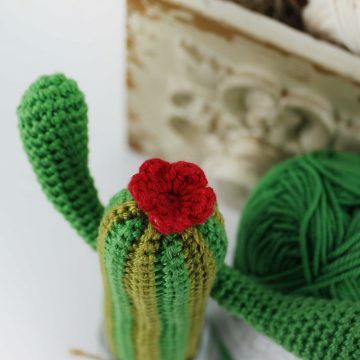 Attach the big flower on top of the cactus. 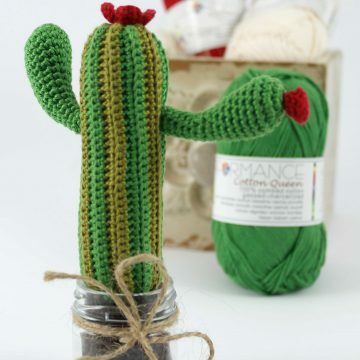 Stuff the cactus fingers and attach them the main body of the cactus (p.8). 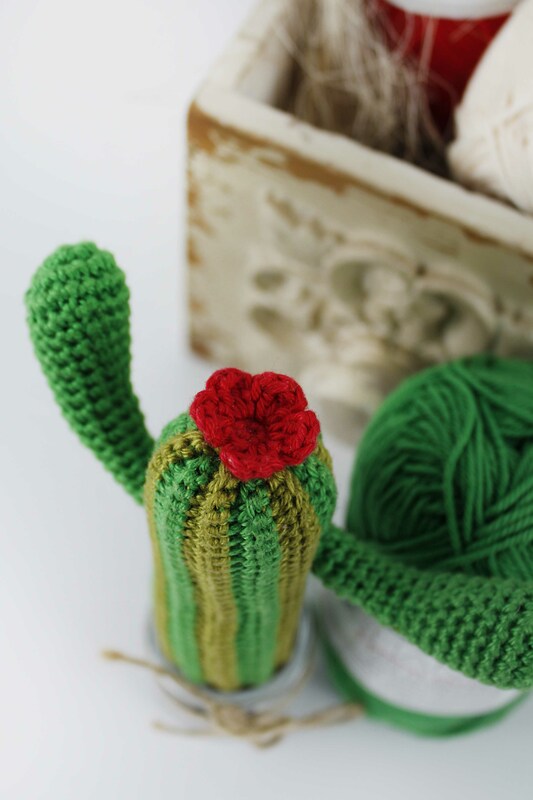 Attach the small flower to one of the cactus fingers. 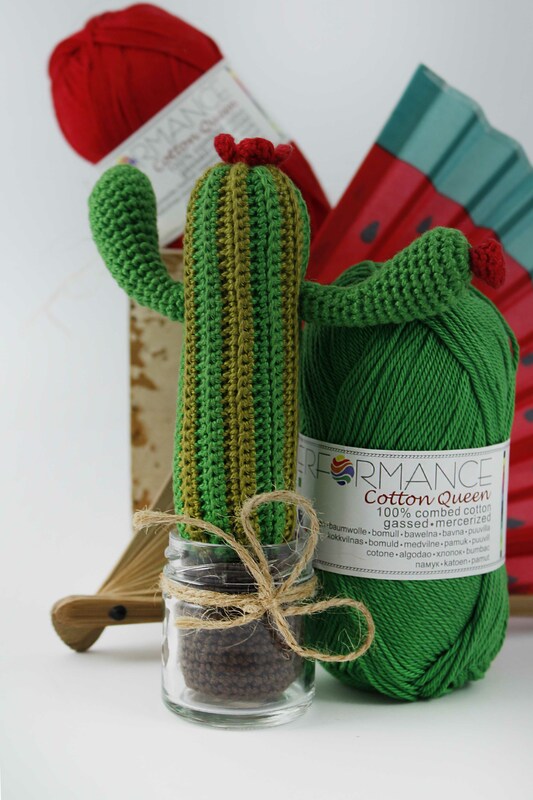 Sew on the cactus to the soil. Fasten off and weave all ends. 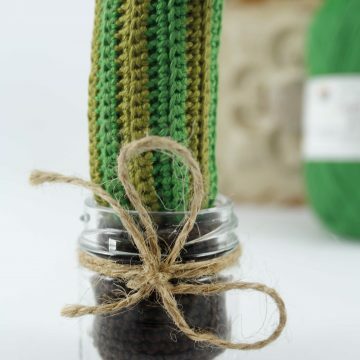 Place it inside the jar and decorate the jar with the twine or with yarn thread.